Volunteers are already incredibly important to our work and we welcome individuals, who are keen to volunteer and support us in a number of exciting and enjoyable ways. Volunteering is an excellent way to gain experience and develop skills while being part of a friendly and enthusiastic team. We recognise the fantastic contribution volunteers make and we ensure that you are fully supported during your time with us. 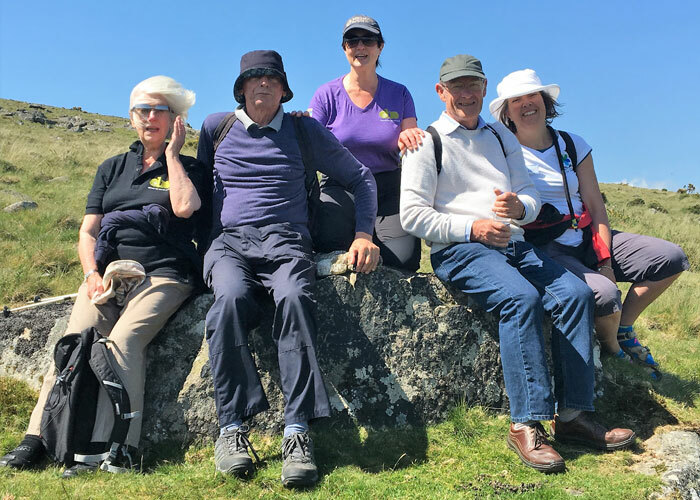 We aim to ensure that our volunteers have increased understanding, awareness and confidence to actively engage more people living with dementia with nature and the outdoors to enable them to retain a sense of adventure in their lives. Volunteering is a great way of joining the growing movement of dementia adventures across the UK. Gain a more positive understanding of people living with dementia. Gain more confidence to actively engage and support people living with dementia to enjoy outdoor activity. Learn about the most up to date research on the benefits of connection with nature and outdoor activity. Learn how to adopt a solutions focused approach in identifying and overcoming barriers to outdoor activities. Learn and practice how to implement a risk/benefit assessment. Learn how to clearly articulate to others the impact of outdoor activities – both for the activities themselves and their funding/ financial sustainability. Develop and achieve personal goals. Meet new people as part of a friendly and enthusiastic team. Be part of the ‘movement’ of outdoor advocates around the UK and beyond. Have social interaction and share experiences with like-minded people. Access training and support from us as well as our volunteer resources. Gain experience, learn new skills and gain confidence. Get out and about, make good use of your time, e.g. if you’re retired. Get back into a working environment. Get to know and be involved in your local community, give something back. Spend time outdoors in stimulating environments and keep active yourself. Feel valued for the commitment you’ve made because you want to help and support our work.